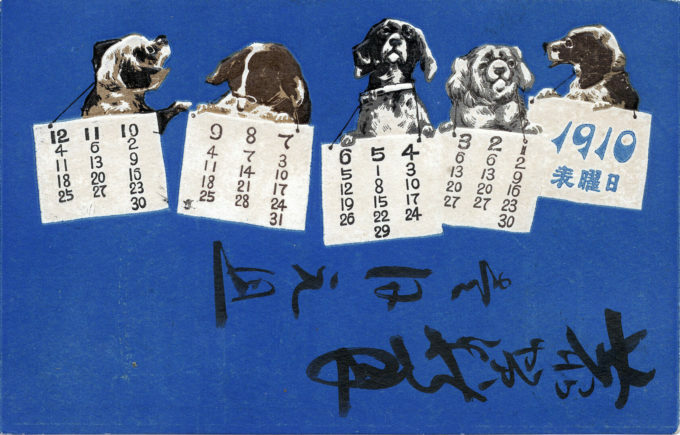 “Year of the Dog”, New Year’s postcard, 1910. 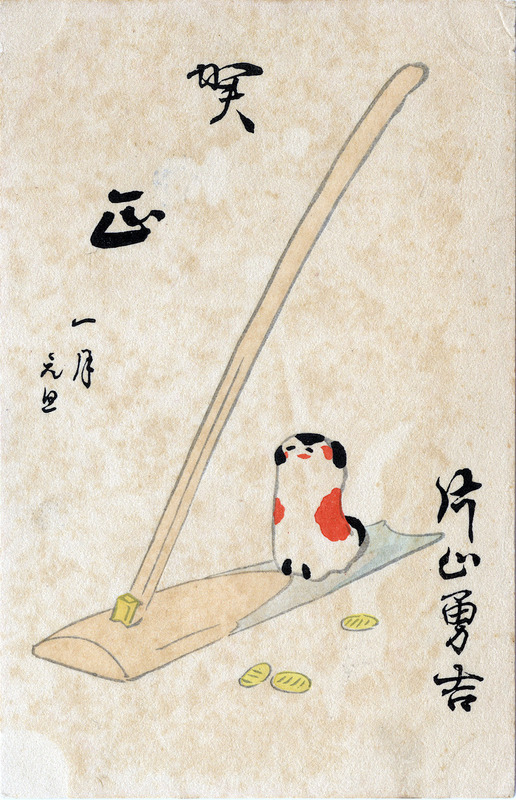 “Year of the Dog”, New Year’s postcard, c. 1920. “We should also count the dogs among the inhabitants, as they are maintained like citizens. “… The streets are full of these rascals, which move neither for horses nor for people. If they harm people or deserve to die, only the executioner may kill them on command from high authority. Sick dogs, or those incapacitated by age, are maintained by each street in cages or huts. When the dogs die, they are carried up the mountains and buried no less carefully than people. This is done on the superstitious command of the shogun [Tokugawa Tsunayoshi], who was born under the sign of the dog, and consequently esteems them no less than Emperor Augustus did the ibex.